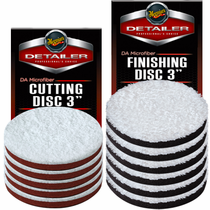 Meguiar's Dual Action 3” Microfiber Cutting & Finishing Pad Discs have the power to quickly remove light to moderate imperfections such as swirl marks, scratches and oxidation then complete the finial finishing and wax application. The 3 inch size of the Meguiar's Dual Action 3” Microfiber Cutting & Finishing Pad Discs give you the power to maneuver tight areas while leaving behind a swirl free finish. The advanced microfiber technology and engineered foam interface allows the Meguiar's DA 3 Inch Microfiber Cutting and Finishing Pads to contour to curves as well as flat surfaces for better efficiency, control to producing unbelievable results. 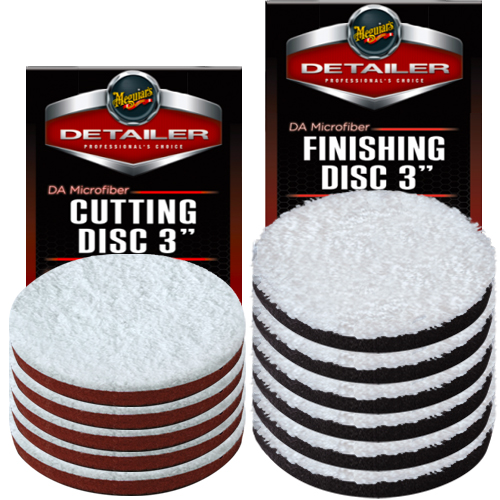 Mix & Match ONE DOZEN Meguiar's DA 3" Microfiber Cutting Pads or Meguiar's DA 3" Microfiber Finishing Pads! 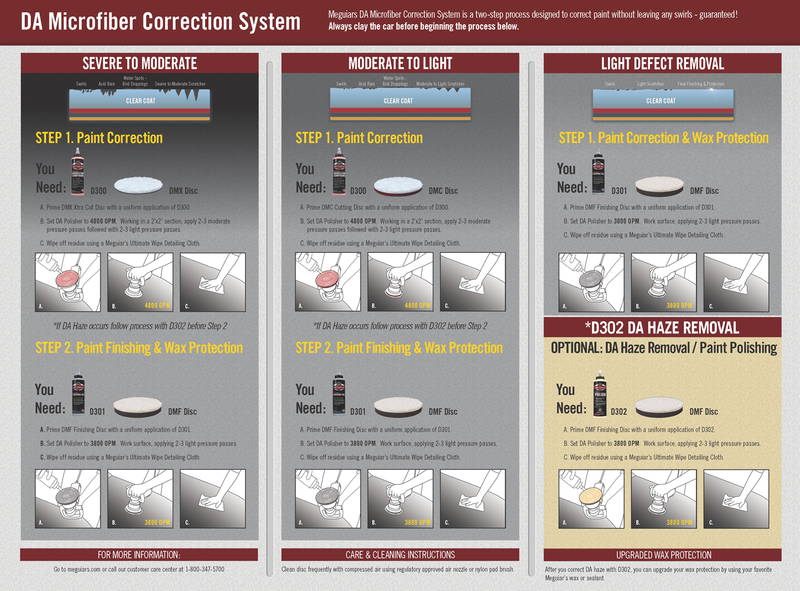 Meguiar's DA 3" Microfiber Cutting Pad: Remove moderate scratches, swirl marks and oxidation with Meguiar's Dual Action Microfiber Correction Compound. 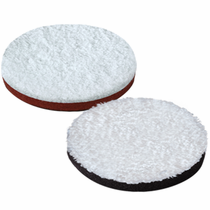 Meguiar's DA 3" Microfiber Finishing Pad: Apply Meguiar's DA Microfiber Finishing Wax, Meguiar's Ultra Polishing Wax or liquid wax of your choice. During Use: Clean Meguiar's DA 3” Microfiber Cutting& Finishing Pads frequently during use with a nylon bristle pad cleaning brush. After Use: Machine wash using warm water and a mild detergent. DO NOT use fabric softener of any kind. Tumble dry on low or no heat. DO NOT use dryer sheets. To prevent contamination store in a clean, dry location or in a storage container free of dust and dirt.